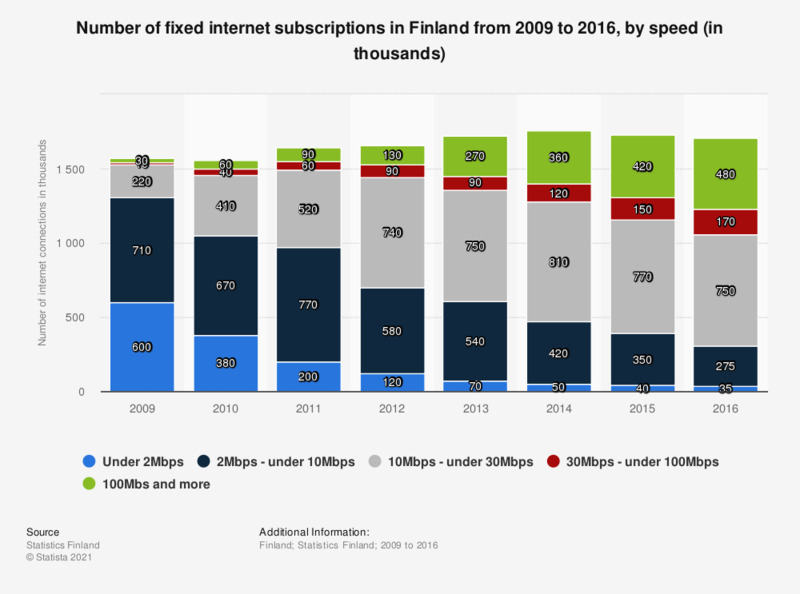 This statistic shows the number of fixed internet connections in Finland from 2009 to 2016, by speed. In 2016, connections of 10Mbps to under 30Mbps were the most common with approximately 750 thousand subscriptions. High speed connections of 100Mbps or more had 480 thousand subscriptions that year. Overall, the number of subscriptions for high speed fixed-line connections has increased.